With ten weeks of training down and two weeks remaining, my triathlon training/competing partner, Laura, and I decided we needed to try a “tri” before our race on June 5. The part we were most curious to practice was the open water swimming. We have been working out at the pool in town, but we know it’s going to be a totally different experience with hundreds of other people plunging their bodies into the cold, murky water with no lanes and no black lines on the bottom of the lake. We couldn’t do much in the way of convincing a few hundred others to join us in a swim at Hagg Lake, but we could at least give the lake part a try. With a bit of convincing, our husbands, John and Keith, joined us in the event. 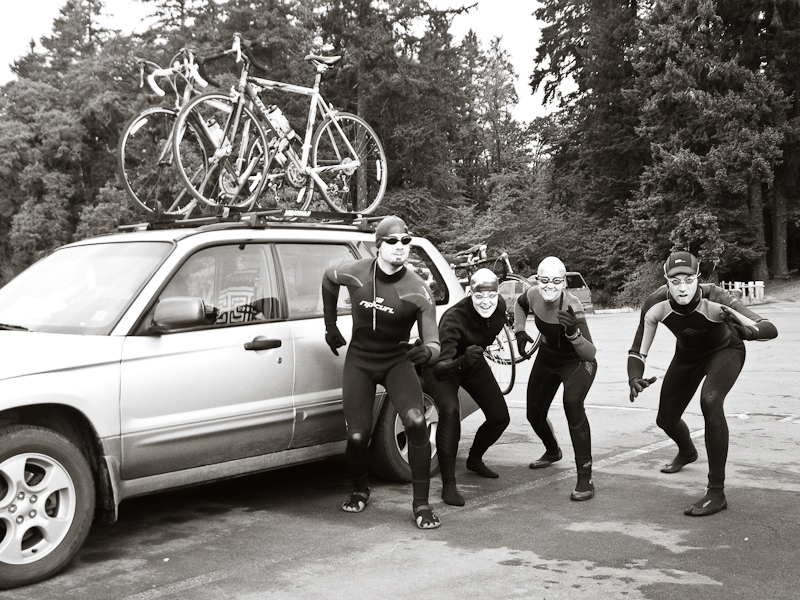 In addition to doing the whole thing with us, they willingly helped us in our transitions, having the car opened and ready, taking our bikes from us and locking them up, and even enduring the 15 minutes of swimming in a cold lake through which we put ourselves. Just like our last triathlon experience, we learned a lot and were so glad to have given it a go. Swimming in a lake, in a wetsuit is a totally different experience and it was helpful just to understand what that is going to be like. Also practicing the transitions between the swim and bike and bike and run was great as we know better what we need/don’t need to do. The irony of the day is that we showed up to the lake and there was actually an organized triathlon taking place. 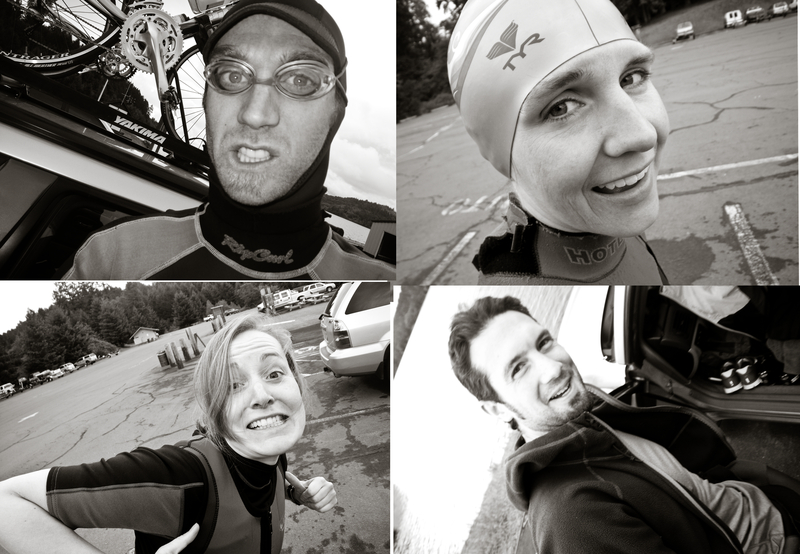 We chose to start ours on the opposite side of the lake… we didn’t want to show anyone up (or embarrass ourselves). It was a fun morning (it really was fun!) and we are looking forward to the real deal in just under two weeks. That was a smart idea to do a test run. Good luck with the real deal! I look forward to the report and photos.